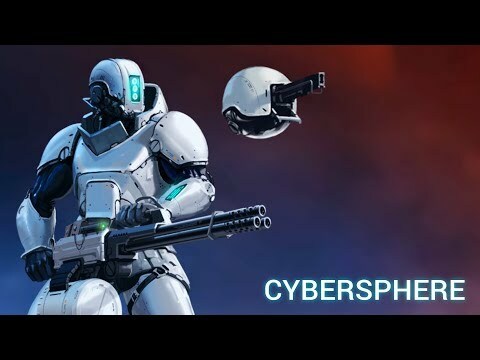 Plot: Mankind is at war and under attack from aliens, robots and cyborgs!Manage combat unit “Cyber-sphere” to defend the base amongst the stars from the advancing enemy across the planets. Use armoury such as missiles, energy weapons, support drones, camouflage and explosions to destruct the enemy.You can fight alone or join forces with other pilots in new coop multiplayer mode!Good luck! Civilisation as we know it depends upon you.Key Features★ Slick futuristic 3D graphics – making a game feel like reality.★ Two camera modes – from above and from behind the character★ Singleplayer – you only have yourself to rely on to prevent theapocalypse.★ Crossplatform multiplayer via Lan Wi Fi – up to 6 players with iOS and Android devices can play together.★ Offline mode – you can play this game without internet connection.★ PVE with friends – join forces and increase your firepower in coop virtual fightin!★ PVP deathmatch game mode – find out, who is the best pilot!★ Plenty of weapons – more then 30 deadly guns.★ Many support drone models – use your AI – controlled guardians. ★ Lot of character type – manage futuristic tanks, walking robots, cyborgs and soldiers, each with unique special ability!★ Easiness of control – you can manage it intuitively using onscreen controls or gamepad★ Global ratings – become the Sci-fI best robot destroyer in the world!★ A variety of enemies – robots, aliens and cyborgs★ Small download size – slightly more than 50mb !★ Non-stop Sci Fi Top down action – one of the most interesting shooting games, it will not let you relax even a single second!Now, aboard the Spaceship!